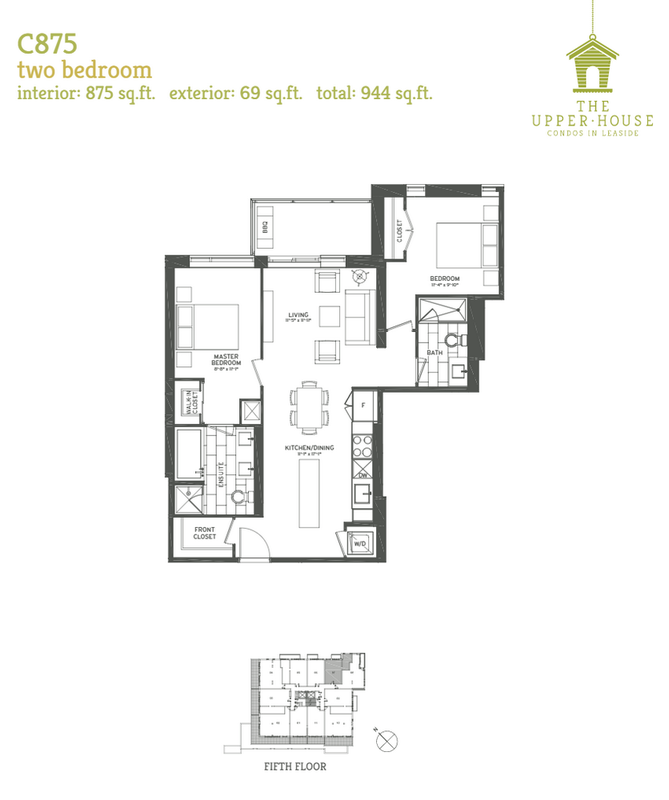 The Upper House Condos by Knightstone Capital Management Inc. in Toronto’s Leaside neighbourhood offers a wide selection of floorplans, ranging in size from 435 square feet to 1,389 square feet. From intimate bachelors to two-storey towns and family-friendly three plus dens, the 66-unit development is sure to have a layout that meets every homebuyer’s needs. Prospective homebuyers now have even more options as the developer has recently released seven new floor plans, including five two bedroom designs and two new one bedroom designs. Here’s a look at some of these brand new layouts. The one bedroom C651 features a functional den off the main entrance, a spacious kitchen and dining room area and cosy living room that leads to an outdoor balcony complete with a gas line for barbecues. The two bedroom C875 suite boasts 875 square feet of living space, and includes a front walk in closet, a spacious kitchen with a large island and a master bedroom retreat complete with luxury ensuite and walk-in closet. 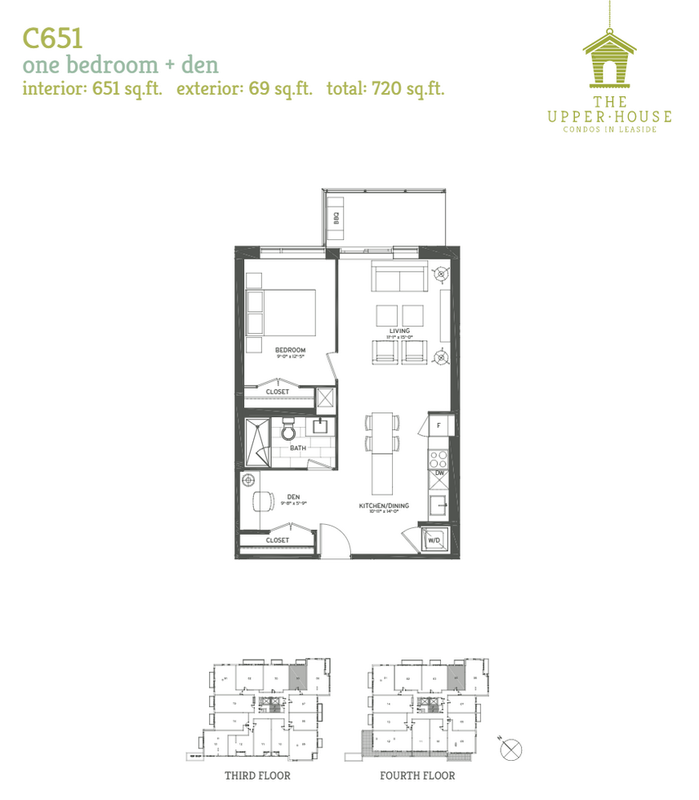 If you’re looking for more space, check out the new two bedroom plus den C1033. This model offers plenty of storage space, a convenient den area overlooking the gourmet kitchen with island, and a large living room flanked by two spacious bedrooms. All suites comes standard with nine foot ceilings, pre-finished engineered hardwood flooring throughout, quartz countertops in kitchens and bathrooms and a stainless steel appliance package. Residents at the Upper House Condos will also have access to lots of amenities including a well-equipped fitness studio, pet spa, and residents lounge with full catering kitchen, dining area, fireplace, and access to an outdoor patio garden. 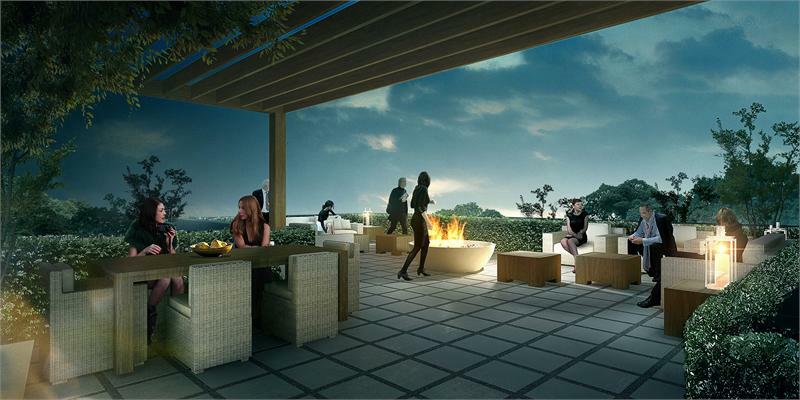 There’s also a rooftop terrace complete with an integrated barbecue, prep and dining areas and gas fireplace. 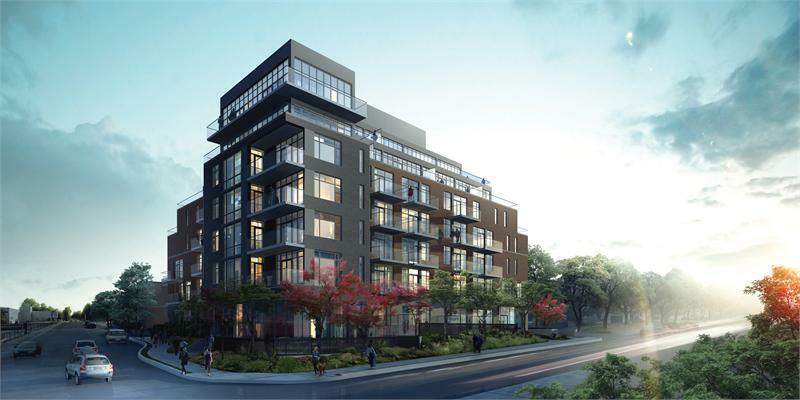 Sales at the Upper House Condos start in the $300,000s with occupancy slated for fall 2016. Interested? Drop by the sales centre located at 25 Malcolm Road, Monday through Thursday from 12pm to 6pm and weekends from 12pm to 5pm for more information. 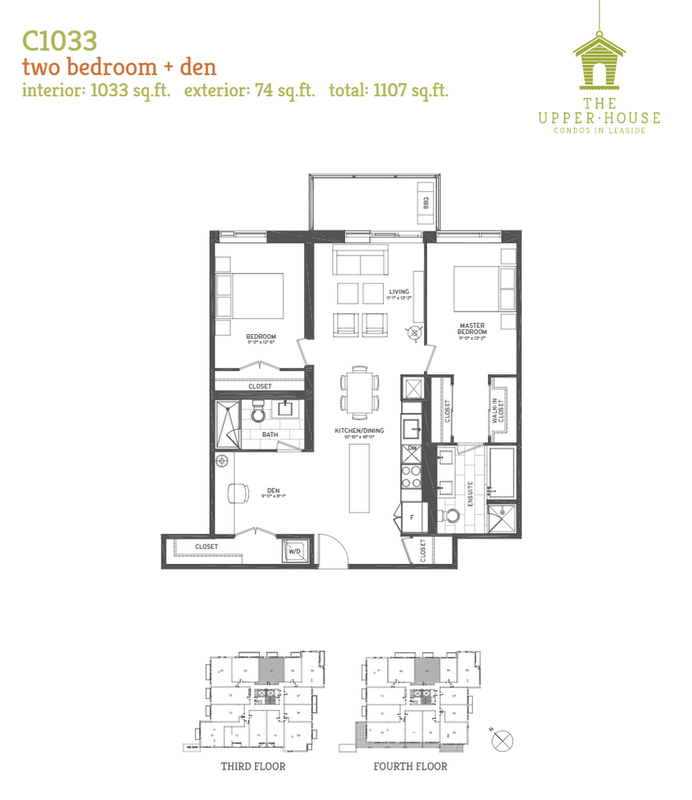 Check out the full selection of Upper House floor plans here. For more information, please call 416 425 1800 or email theupperhousecondos@bakersales.info.